Last August, in John’s “half term report”, we reported on the improved situation of the people of Jumbo, a village some 10 miles north of Ekwendeni, after they had been given a bullock drawn plough and ridger. At that time their water supply came from a shallow hole and was unsafe. 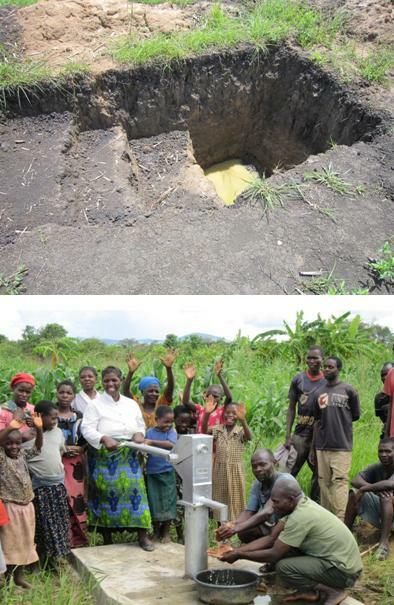 Following talks with Jim McGill, the Synod of Livingstonia’s “water man” and the gift of some funding from Alba Aid, we have recently received pictures of Jumbo’s new well. The people of Jumbo are delighted and it is hoped that it will be possible to use the original water source to irrigate their fields using a windmill powered pumping system.